According to a new study published in Radiology, the Medicare Shared Savings Program (MSSP) has resulted in small but significant improvements in mammography utilisation in its first three years. MSSP is the largest value-based population reimbursement programme in U.S. history and has been established as part of the Affordable Care Act (ACA). The goal of this programme is to improve the quality of care for Medicare Fee-For-Service beneficiaries while reducing unnecessary costs and to enable eligible providers, hospitals and suppliers to create or participate in Accountable Care Organizations (ACOs). According to study author Anand Narayan, MD, PhD., from Johns Hopkins Hospital in Baltimore, the ACA provides the flexibility to experiment with alternative payment models such as value-based programmes. Under this model, providers get paid on how good a job they do instead of how many tests and procedures they perform. Dr Narayan and his team especially evaluated the impact of MSSP ACOs on mammography screening utilisation. They analysed data on women between 40 and 69 years of age who underwent screening between 2012 and 2014. 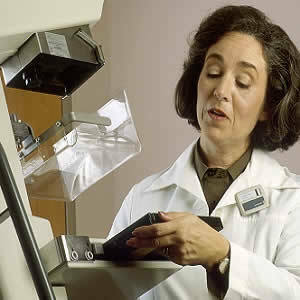 The analysis showed that there was an increase in mammography screening utilisation of 2.5 percent from 2012 to 2014. Out of 208 ACOs, 61.6 percent reported improvements. These finding were different from the trends in traditional fee-for-service populations where mammography screening has either remained unchanged or declined. "Pay-for-performance incentives in ACOs can facilitate collaboration amongst various stakeholders across the healthcare continuum to improve mammography screening utilisation and other key population health metrics, results which will become increasingly relevant as imaging reimbursements transition from fee-for-service to alternative or value-based payment," Dr. Narayan said. Dr Narayan believes this transition is already underway. The Centers for Medicare and Medicaid Services has announced that by 2018, it will deliver the majority of fee-for-service Medicare payments through value-based programmes. He points out that these changes highlight the need for radiologists to more actively work with other stakeholders and develop strategies to improve population-based healthcare and to ensure that people get preventive health services. These strategies revolve around communications, group health education sessions, peer counseling and home visits. The ACA rolled out in 2010 and since then, the number of Americans with health insurance has increased to quite an extent. 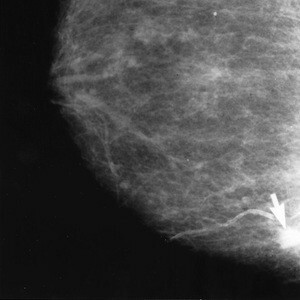 This may also be one of the factors driving mammography utilisation. 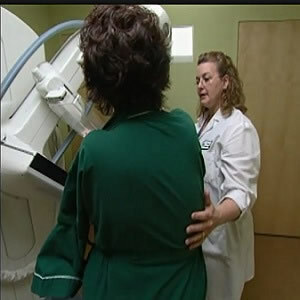 A similar trend was observed in mammography screening after healthcare reforms were enacted in Massachusetts in 2006. It appears that screening mammography is closely associated with access to healthcare systems. The use of preventive health services such as mammography increase when women begin to see primary care doctors. Figure 2: Histogram shows differences in screening mammography use from baseline levels in 208 accountable care organizations reporting longitudinal outcomes. There were significant differences in screening mammography use when compared with baseline levels (adjusted IRR, 1.04; 95% CI: 1.02, 1.07; P = .002).